The Flashing Light Prize is back this year with a noble twist. And judging from the small set of entries thus far, this is going to be an interesting challenge. Last year’s Flashing Light Prize was an informal contest with a simple goal: flash an incandescent lamp in the most interesting way possible. This year’s rules are essentially the same as last year, specifying mainly that the bulb itself has to light up — no mechanical shutters — and that it has to flash at 1 Hz with a 50% duty cycle for at least five minutes. But where last year’s contest specified incandescent lamps, this year you’ve got to find a way to flash something with neon in it. It could be an off-the-shelf neon pilot light, a recycled neon sign, or even the beloved Nixie tube. But we suspect that points will be awarded for extreme creativity, so it pays to push the envelope. Last year’s winner used a Wimhurst machine to supply the secondary of an ignition coil and flash a pair of bulbs connected across the primary, so the more Rube Goldberg-esque, the better your chances. There are only a handful of entries right now, with our favorite being [Ben Krasnow]’s mashup of electricity, mechanics, chemistry, and physics. You’ve got until March 15th to post your flashing neon creation, and there are two categories this year, each with a £200 prize. Get your flash on and win this one for Hackaday. This week we’re giving away $1500 in OSH Park codes to thirty different projects. Submit your project to the 2015 Hackaday Prize now! $50,000 over the next 17 weeks! For each of the last four weeks we’ve awarded prize packages to three projects just for submitting ideas. Now it’s time to crank up the rewards. Over the next 17 weeks we will give away $50,000 in prizes. We’re kicking off the week by giving $50 OSH Park codes to 30 different projects. Of course this is just the tip of the iceberg. This year’s prizes total half a million dollars, with a trip into space for the Grand Prize winner and $100,000 for the Best Product prize. Sitting this one out would be a huge mistake! You need to post your project on Hackaday.io and officially submit it to the 2015 Hackaday Prize, which means clicking the “Submit-To” button on the left sidebar of your entry (shown below). You can confirm that you’re in the running by looking for the 2015 Hackaday Prize logo on your project gallery picture. Here you can see [castvee8] has submitted the Binary fuel tank, do you think it’s ready for a custom PCB? To give yourself the best chance at winning, publish a new project log this week that outlines the PCB work your want to do for the entry. We’ll be looking for those as we judge the prizes that are most ready to begin (or advance) their hardware build. OSH Park offers double-layer boards for $5 per square-inch and you get 3 copies of the board with shipping included. This $50 prize will land you quite a bit of board space. Get started now, you need to have your projects submitted by the morning of Wednesday, April 29th. The 2015 Hackaday Prize is all about solutions to problems affecting a large number of people, and aging touches everyone. This week we were on the lookout for the entries best addressing the problem of Aging in Place. This means being able to live in your home and community independently and comfortably as one ages. It is as important to the aging as it is to their friends and family; a topic well worth your hacking skills and engineering brilliance. There were several entries that focused on monitoring for out-of-the-ordinary behavior. The Personal Medical Assistant seeks to leverage the sensor array and computing power of smartphones combined with ancillary data harvesting from things like an ECG chest band or a pulse oximeter watch. The idea is to watch for a series of precursors to health emergencies and warn both the person being monitored and their support network of family or caretakers. The whimsically title Ye Oldie Monitor focuses on a similar idea with a more passive role. The concept suggests a base-station and a series of remote monitors throughout the living area, like PIR motion sensors, to alert for notable variations on a person’s normal day-to-day activities. In a similar vein the LiteHouse project would retrofit the household lighting fixtures with motion detectors. These automatically light each area to help prevent low-light accidents like falls, while also monitoring for signs of duress. Watching out for each other is complicated by distance. We saw a few entries that try to alleviate that, like the Being There with Pi project. Smartphones and computers are a great way to communicate, until you need help making your smartphone or computer work in order to do so. This project looks at developing a dedicated video conferencing system based around the Rasperry Pi. The point is to develop an excruciatingly simple, robust form of live video communications. Continuing on the note of simplified communications is Julia’s Speakerphone project. [Julia] is living with multiple sclerosis that has resulted in her being bed bound for almost a decade. Making phone calls has been both rare and leaves us wondering why this sort of solution isn’t already in wide adoption. The solution is a combination of a Bluetooth hands-free calling module, Android tablet, Skype a pay-as-you-go cellphone, and an interesting button hack for [Julia] to activate the hand’s free. It is crafted with leaf switches and polymorph and worn as a bracelet. The proof of concept is there and we can’t wait to see this evolve into a more robust and extensible solution. First place this week goes to the Personal Medical Assistant and will receive a RE:load Pro programmable constant current load. Second place this week goes to Julia’s Speakerphone and will receive a Sparkfun Microview. Third place this week goes to Being There with Pi and will receive a Hackaday CRT-android head tee. We’ll announce next week’s theme a bit later today. Don’t let that stop you from entering any ideas this collection of entries may have inspired. You should already know about the 2015 Hackaday Prize, but have you submitted your entry yet? All it takes to get started is talking about one idea you have to address a problem faced by a large number of people. To help get the ball rolling we’re giving away some prizes to three entries that discuss possible solutions to Environment-Related problems. For your chance at this week’s goodies all you need to do is document your idea on Hackaday.io and tag it “2015HackadayPrize”. On Monday, March 30th we’ll take a look at all the entries tagged 2015HackadayPrize and choose three that best fit the topic of Environment-Related. The best will receive the SmartMatrix 32×32 RGB LED matrix along with a Teensy 3.1 to drive it. The next pick will receive a Bus Pirate and probe cable. The final prize will be a Hackaday Robot Head Tee. We’re not messing with you; all you need to win these early prizes is an idea. 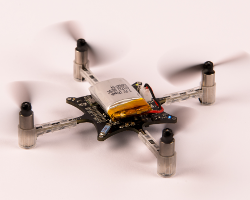 One of the most powerful pieces of the Hackaday Prize is the pollination of thought. Your idea might be the tipping point for someone else’s breakthrough or vice-versa. 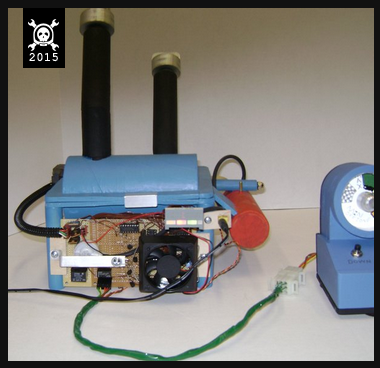 Start a project on Hackaday.io and add the tag “2015HackadayPrize”. Pictured to the right is a whiteboard sketch by [MechaTweak] which illustrates one very simple shower water-saving idea (we think this was prompted by our column on the topic last week). The idea here is that instead of running water down the shower drain as you wait for it to heat up, the water cold be sequestered in a holding tank and used for flushing the toilet the rest of the day. This will certainly be in the running as it addresses the issue of water conservation. Going along with our Environment-related topic you might also tackle alternative energy production, helping detect or curb pollution, making recycling easier, reducing waste, etc. As we move along we’ll be awarding bigger and better prizes. Submitting an idea now will give you an early start on your planning. You’ll still be eligible for future prizes, and you may submit as many entries as you like. We’re happy to announce 16 winners of the Sci-Fi Contest! The Hackaday Crew is thoroughly impressed with pretty much everything that was entered. The 50 projects which were marked as “complete” spanned a wide range of Science Fiction universes, and showed off the talent of the hackers who posted them. As a quick side note: Some people have confused this contest with The Hackaday Prize. That one is still on, runs into November, and offers a trip into space as the grand prize. Get hacking! We have a range of prizes for the winners. The Grand Prize winning team can choose between two packages, one is anchored by a pair of oscilloscopes (an OWON DS7102 and a Rigol DS1052E), the other swaps out the OWAN for a soldering station and a rework station. Top Prize winners can choose between three packages which offer a rework station, a soldering station, or a collection of dev boards. And finally, the community favorites can choose from several Sci-Fi themed prizes like Blu-Ray, DVD, coasters, toothbrushes, and other kitsch. For a complete list of the prizes, check out the contest announcement. The Verbal Morality Statute Monitor project was an early favorite of ours because the choice of Sci-Fi tech was perfect; a symbolic centerpiece of a dystopian future that can be perfectly replicated with current technology. [tdicola] and his suspect partner [colabot] moved far beyond that favored status with a solid build that included mechanical design (which was quite a hack), hardware, and software. The shiny unit hangs on the wall and listens for profanity, sounding an alarm and printing a citation whenever one is detected. We do hope that this ends up in a public space — perhaps a hackerspace full of foul-mouthed members. The delight of the Morality Monitor is that it can generate extra revenue and we suspect offenders will be happy to pay-up… well, maybe at first. The scope of this project, which is the work of [Jerome Kelty] and [Greg Hatter], is impressive. The full-size Iron Man suit is wearable, true to the look of the film version, and packed full of animatronics. It won’t stop bullets, blow up bad guys, or fly… but it looks as if it can do all of that. From helmet to boots the exoskeleton is packed with electronics. These are comprised mostly of things that light up, and things that move parts of the suit. But you also need a way to control that functionality and this is one of the most clever aspects of the design. Each glove has an RFID tag reader in the palm area, with tags on the fingertips of the third and fourth finger. Closing your fingertip to your palm initiates a programmed sequence. All of this is well-documented in the Project Details section, with code and schematics for each subsystem shared as Build Logs. This rover looks like an elegant insect. In a world full of clunky-looking robotics projects that’s high praise. The name of the project is an acronym for the MADspace Advanced Robtics System; a project which, from the start, sought to recreate an Open Design version of the NASA Rovers known as Spirit and Opportunity. [Guus van der Sluijs], [Paul Wagener], and [Tom Geelen] turned this project into a showcase of what today’s widely available design software and fabrication tools can accomplish. Most of the connecting pieces were 3D printed (check out all of them in the components list), with 10mm aluminum tubing making up the rest of the chassis, and rockers to support the six wheels. Speaking of wheels, check out all the fab work that went into those! And we haven’t even mentioned the hw/sw which drives the thing! This one has a very visceral hacked feeling which immediately made us take note. When you start to dig into the work which [Atheros] and [bwa] put into the Time Circuit Clock from the movie Back to the Future, the project really stands in a place of its own. Inspiration to build this came from a design which was posted by Hackaday alum [Phil Burgess] over at Adafruit. The large collection of 14 and 7 segment display modules which make up the three parts of the clock are all hosted on about 23 PCBs which were etched as part of the development process. The electronic assembly is solid, with ribbon cables and modular design to keep it as tidy as possible. The frames for the displays are cut out of wood and the entire thing is controlled from a keypad. The clock, alarm, and FM radio make this a perfect bedside device — if you can abide being blasted by three colors of LED displays as you try to sleep. This one is hard to sum up with a single image, because The Marauder’s Map uses radio frequency communication to track beacon locations of boards like the one pictured here. Well, they tried to use this custom hardware but were unable to work out all the bugs and ended up showing the proof of concept using some EZ430-RF2500 dev boards. We’re certainly not holding that against [phreaknik] and [ wahwahweewahh]. The amount of software that went into the mapping system is arguably more impressive than a bug-free prototype board would have been. The system can take the dimensions for any room, as well as locations of the base stations. It then polls the base stations to triangulate relative position of the beacons with great accuracy. We have confidence that the custom boards will work at some point (this would actually make a great entry for The Hackaday Prize, right?). It was heartbreaking that these Peril-Sensitive Sunglasses didn’t make it into the top five. This, and the five projects above, were all in a tight race for the prizes. Since this project isn’t going to make the list of Skulled or Followed projects we’ve decided to award it one of those prize packages anyway in recognition of the wonderful work [Minimum Effective Dose] and his AI partner [Colabot] pulled off. The project is, of course, based on [Douglas Adams’] Hitchhiker’s Guide to the Galaxy tech which allows the wearer to avoid getting upset in times of peril. The shutter glasses originally meant for 3D television viewing have been modified to sense danger and block the wear’s view of it. All hackers who submitted what we deem to be a complete entry will receive a shirt. We’ll email with instructions on how to tell us your shirt size and mailing address. We promise this is the last post about the ARG we ran throughout April to promote The Hackaday Prize. But we’re excited to announce the winners and all the goodies they are going to get! Now that the scoreboards are finalized we can announce the overall winners of the Alternate Reality Game and the prizes they will receive! First, we’re giving away a Crazyflie Nano quadcopter to each of the people who were the first to post all the details for the first three Transmissions on the Major Tom profile pages. [kline] wins Transmission 1 as he was the first to post all the details from the transmission and did some great work to convert the QR code into an image using Python. [Tyler Anderson] wins this round as he was the first to decode the status message from Major Tom. This was a tough one since we know some people got very close to the answer on IRC but were led down rabbit holes instead, however [Ted] wins as he was the first to finally locate the launch site longitude and latitude hidden in the audio files. Next up we have the winner of the Final Transmission. 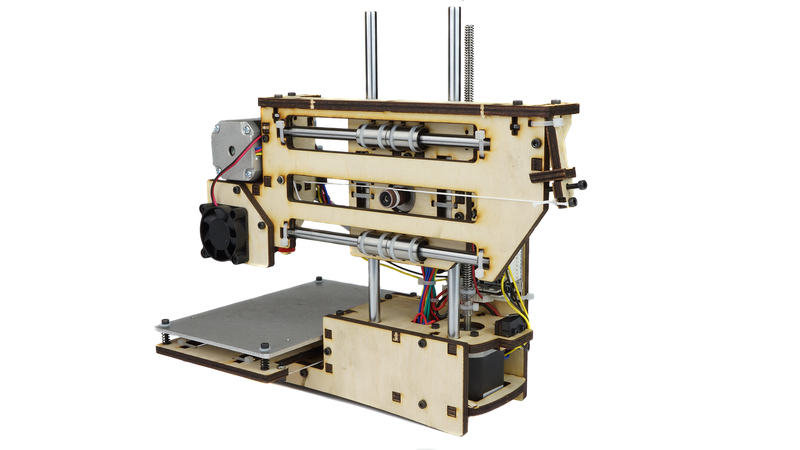 Someone suggested that when the pixel art contest was over we should 3d print all the entries, so this inspired us to give away a low cost 3d printer that the winner could use to do just that. Therefore we are presenting a Printrbot Simple Makers Kit. This prize goes to the person at the top of the scoreboard and winner of the pixel art contest [XDjackieXD]. Congratulations and we expect to see your Portal Cube rendered in plastic sometime soon! Finally, since this ARG was a team effort and some people put in outrageous amounts of work we decided we should award a prize for Best Overall Contributor. This was a hard decision as so many people contributed throughout the month. But we feel that the efforts of [Emerica] really stand out, not only was he responsible for figuring out the use of OpenPuff in Transmission 2, he also contributed massively to the Pixel Art Contest and even built a stunning rendition of the Space Needle over the location of Seattle. 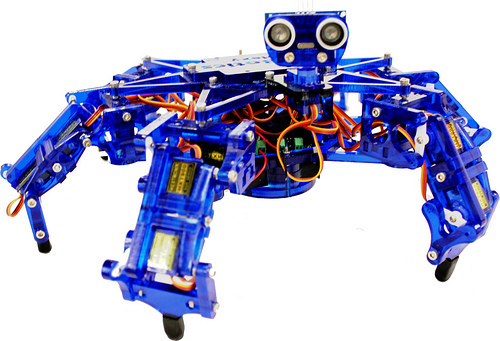 [Emerica] wins a Hexy the Hexapod robot kit for his contribution, we hope to see many creative uses for this little fellow in the coming months. It may be all over, but we just want to say how much fun putting together this ARG has been and how much it has shown the creativity, ingenuity and pure genius that exists in this community. It was wonderful to watch everyone come together to work things out and the life that has sprung up in the IRC channel is really great to see. We hope we can all continue to play and build together as we truly believe there is nothing this community cannot accomplish when we come out of our respective sheds and workshops and work together on something. Thank you all for participating and good luck in with your entries in The Hackaday Prize! We received several fantastic entries. We laughed, we cried, we stared at our monitors in confusion, it was fantastic. Now we’re here to announce the winners of the Santa-Pede contest. If you recall, the rules were pretty simple. Aquire a dancing santa (or other holiday dancing annoying toy thingy in the same fashion), tear it apart, build something that walks out of the pieces. We were aware that most of these have a very similar setup with one or two servos and a bit of plastic. That way everyone has a similar starting point. We were amazed at what was done with so little. Keep reading to find out who one each of the three categories: Most over-done, best walker with no extra parts, and best presentation. Padrote on Need A Small Keyboard? Build Your Own! Jan-Philipp R has followed a list. Jan-Philipp R liked ESP cookbook. Kirk Franks liked FunKey project - All your games on your keychain !. J.C. Nelson wrote a reply on project log Knob and Pins Mapping. Paul Hadfield liked "Lixie", an LED alternative to the Nixie Tube. Steve Dunlap liked ESP cookbook. Alex liked pcbtc (GaN edition). kenneth0313 liked pcbtc (GaN edition). Alan Lord liked ESP cookbook. joe has followed a list.